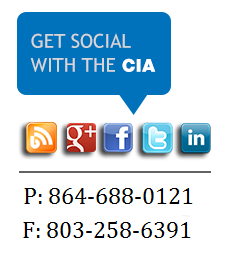 Here at the CIA, we carry various insurance programs for different types of businesses and individuals. You'll be amazed at our large selection, and we will make sure that you get the best policy with the best premiums. Below you will find the types of businesses that we most often insure, but we are able to insure more than just these! If you do not see what you are looking for in the list below please give us a call at 864-688-0121 to see what we can do for you! Click on one of the links below to fill out applications pertaining to your business. We also insure personal lines! Visit out personal insurance page to get a quote on homeowners insurance, auto insurance and more! 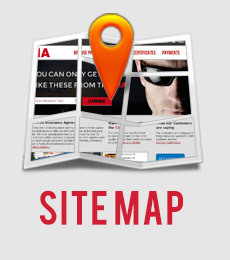 Insurance for Airsoft fields, Stores, Mobile Airsoft Fields, Manufacturers & Tournaments. Insurance for Archery Tag businesses & events. Insurance for Artisan Contractors, Commercial or Residential. We provide insurance for bowling centers inside of family fun parks as well as bowling alleys that are not part of a bigger park. Our broker program allows agents to partner with the CIA to provide clients with insurance for Inflatable Rentals, Eurobungy, Indoor Inflatable Centers, Trackless Trains & Rockwalls. Insurance for Bungee Trampolines. Also known as Eurobungy or Bungy. Our business insurance offers high quality professional liability, product liability and general liability for all different kinds of businesses whether in the entertainment industry or not. Camp Insurance for: Summer Camps, Paintball Camps, Church Camps, Sports Camps & more! Insurance for Christmas Tree Lots & Christmas Tree Farms. We can also provide insurance for Santa Entertainers. Insurance for Commercial Autos such as: pick-up trucks, vans & landscaping trucks. Supplemental Cyber Liability coverage for your business. If you deal with customer information or credit cards, this is important coverage to have for your business! Insurance for a variety of entertainers such as: Musicians, Clowns, Bands, Singers, Comedians, Actors, Performers, Puppeteers, Magicians, Mimes, Dancers & More! Insurance for Escape Rooms & Escape Games. We provide coverage for both seasonal & permanent escape rooms. Insurance for Eurobungees (also known as Bungee Trampolines). Insurance for Event Planners. We can insure all aspects of the event planning including event cancellation, the venue and the event planners themselves. Insurance for Extreme Sports. Paintball, BMX, Martial Arts, Mud Runs and more! Insurance for Fairs & Carnivals. We also offer coverage for Amusement Rides, Concessions, Carnival Games, Petting Zoos & Entertainers! Insurance includes devices such as: Rope Courses, Go-Karts, Mini Golf Courses, Bowling Centers, Inflatables,Laser Tag, Batting Cages & more! Insurance for Halloween activities including: Haunted Houses, Haunted Trails, Halloween Festivals, Pumpkin Patches, Zombie Runs, Escape Rooms & more! Insurance for Bounce Houses, Moon Walks & other Inflatables that are inside of an indoor facility that stays in a fixed location. Insurance for businesses that rent out inflatables for use at birthday parties, festivals, school events & more. This provides coverage for your business property for fire, theft, vandalism on premises, or if Inland Marine while off premises. Insurance for laser/lazer tag facilities located inside of Family Fun Parks, by themselves as well as mobile laser tag. Insurance for Martial Arts Schools, Events & Tournaments. Types of Operations include: Karate, Judo, Jujitsu, Mixed Martial Arts, Tai Chi, Kick-boxing, Taekwondo & more! Insurance for Mechanical Bulls, Bucking Broncos & Bucking Machines. Insurance for Miniature Golf / Putt Putt Courses. We insure Mini Golf courses inside of Fun Parks as well courses by themselves. Insurance for Mud Run Events, Strongman Competitions & Zombie Runs. Insurance for bands, orchestras and solo musicians! Insurance for Outdoor Guides & Outfitters. We can also insure your outdoor events & festivals. Insurance for Paintball Fields, Stores, Mobile Paintball, Manufacturers, Promoters & Tournaments. Insurance for Party Rental businesses that rent out equipment such as: inflatables, mechanical bulls, portable rock walls, tables, chairs, tents & other amusement devices and party equipment. Product Liability Insurance for manufacturers, distributors, suppliers & retailers that make products available to the public. Insurance for pumpkin patches & other Halloween events. Insurance for nerf tag parks and arenas. Insurance for Rage Rooms and other types of amusement facilities. Insurance for Climbing Walls, Rock Climbing Walls & Climbing Gyms. We insure both portable and permanent walls. Insurance for Ice Skating Rinks, Roller Skating, Skateboarding Parks & Roller Derbies. We can insure all sorts of special events such as: Weddings, Corporate Events, Political Conventions, Large Parties, Festivals, Concerts, Sporting Events & Halloween Events. We insure all kinds of sports such as: Sports Facilities, Team Sports & Sporting Events. Sports include Soccer, Baseball, Mixed Martial Arts, Football, Lacrosse, Karate, Dance, Cheerleading, Gymnastics, Basketball & more! We also can provide sporting event insurance. We insure mobile trackless trains as well as trackless trains that stay in one fixed location such as inside of shopping malls. Insurance for Indoor Trampoline Parks & Foam Pits. We can insure your entire center. We provide insurance for the wedding, wedding cancellation & the event planner. Covers your employees for bodily injury, medical bills, loss of income & payment to dependents. This is a requirement for employees in most states. Insurance for vendors, concessionaires, exhibitors at tradeshows, special events, festivals & more. We provide insurance for the zoos, aquariums, wildlife parks, drive-thru zoos & more. We have insurance for zorb balls, water balls & other types of amusement devices. Thank you so much for you and your team to pull together a great program that meets my needs. Between the COI's, the listening, and the delivering...you guys pulled it together and I am very impressed.